Possibility to spend the night at Kolkata airport (CCU), if open 24 hours. Services available, places to rest (free resting zones), or look for the list of nearby hotels and vip lounges..
Kolkata airport is very busy even at night, so come prepared with earplugs and a sleeping mask. In addition, the air conditioning is usually strong, so it is best to have something warm. Where to rest: The Departures area has numerous seats. Inside the terminal there are also VIP lounges, one of them open around the clock. 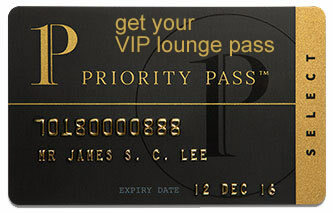 SEE VIP LOUNGES In addition, opposite the main building is situated a hotel. Baggage: Near gate 3C there is a left luggage service that operates 24 hours a day. Eating and drinking: Commercial stores close at night. The Hotel Airways (Tel +91 332 513 2106) is located across from the terminal. In addition, there are other accommodations nearby, some of them with transfer services for their guests. Airport City Hotel (Tel +91 332 513 3131), O2 Oxygen Hotel (Tel +91 983 647 5753), Swissotel Kolkata (Tel +91 336 626 6666), Ethnotel (Tel +91 337 101 7000), The Majestic Suites (Tel +91 1800 200 3715), Continental Guest House (Tel +91 332 513 2611), The Silverline Hotel (Tel +91 916 320 4405), Babul Hotel (Tel +91 869 773 8666), Hotel Tirupati International (Tel +91 332 512 0065).